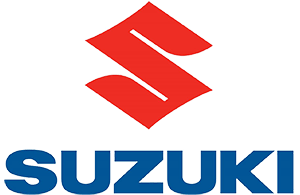 Suzuki Motorcycles : Suzuki Motorcycles - Suzuki Motor of America, Inc. - You're curious and we've given you more ways to explore. Regardless of whether you are an experienced riding enthusiast or a beginning rider we're certain you'll find something exciting and new about Suzuki motorcycles and ATVs. With so many bikes and ATVs in our lineup that answer to the various desires within the Suzuki ridership, we're confident that you'll see why now, more than ever Suzuki is a Way of Life! (8) SUZUKI BOULEVARD C50 B.O.S.S. (220) SUZUKI BOULEVARD C90 B.O.S.S. (66) SUZUKI BOULEVARD C90 T B.O.S.S. (357) SUZUKI BOULEVARD M109R B.O.S.S. 2019 SUZUKI DR - 650S, New York's oldest & most knowledgeable dealership specializing in fun on the water, racetrack, on-road and off since 1981. Bay Harbor Motors is the largest power sports dealership in New York City! We continually break our manufacturer’s sales and customer satisfactions records, highly experienced parts personnel, the largest stock of parts and accessories around to fit all your needs, state of the art computer systems and our award winning service department. Bay Harbor Motors is the choice when shopping for a new boat, motorcycle, watercraft, Side by Side, or ATV! Authorized Yamaha Jet Boat, Yamaha Waverunner, Kawasaki Motorcycle, ATV, Side by Side, JetSki, Honda Motorcycle, ATV, Power Equipment, BRP Roadster, Can Am ATV and Side by Side, Sea Doo, Polaris and EZ Dock Dealership. Advertised pricing excludes applicable taxes, title, licensing, dealer set up, destination, reconditioning, dealer document fee, finance charges (if applicable) and are subject to change without notice. Please print this page and present it to your salesperson, which includes all incentives, rebates, and coupons. Buyer must take same day delivery by financing vehicle through dealer arranged financing. Pricing may exclude any added parts, accessories or installation unless otherwise noted. All prices are subject to change prior to written and signed agreement by all parties. Dealer fees are additional, price subject to tier 1 bank approval, dealership not responsible for typos or incorrect information listed. Also, some finance offers may affect the price, such 'either/or' ie zero percent finance OR a rebate. Promotional finance may increase price shown. Promotional pricing based on availability of advertised unit. Please contact Dealer for details. We will price match or beat any price in the nation. Bay Harbor Motors reserves the right to purchase any deal brought in from a dealer or any other party. PRICE INCLUDES REBATEThe 2019 RM-Z450 remains the champion’s choice, as its sleek, race-ready appearance, strong engine, and nimble chassis continue the Suzuki tradition of extraordinarily precise handling.The RM-Z450 epitomizes Suzuki’s Winning Balance philosophy with strong brakes for controlled stopping power, a wide spread of engine muscle with high peak power, and a strong, light, and more nimble chassis that remains the class standard for cornering performance. 2019 SUZUKI Suzuki Boulevard M109R B.O.S.S., New York's oldest & most knowledgeable dealership specializing in fun on the water, racetrack, on-road and off since 1981. Bay Harbor Motors is the largest power sports dealership in New York City! We continually break our manufacturer’s sales and customer satisfactions records, highly experienced parts personnel, the largest stock of parts and accessories around to fit all your needs, state of the art computer systems and our award winning service department. Bay Harbor Motors is the choice when shopping for a new boat, motorcycle, watercraft, Side by Side, or ATV! Authorized Yamaha Jet Boat, Yamaha Waverunner, Kawasaki Motorcycle, ATV, Side by Side, JetSki, Honda Motorcycle, ATV, Power Equipment, BRP Roadster, Can Am ATV and Side by Side, Sea Doo, Polaris and EZ Dock Dealership. Advertised pricing excludes applicable taxes, title, licensing, dealer set up, destination, reconditioning, dealer document fee, finance charges (if applicable) and are subject to change without notice. Please print this page and present it to your salesperson, which includes all incentives, rebates, and coupons. Buyer must take same day delivery by financing vehicle through dealer arranged financing.  Pricing may exclude any added parts, accessories or installation unless otherwise noted. All prices are subject to change prior to written and signed agreement by all parties. Dealer fees are additional, price subject to tier 1 bank approval, dealership not responsible for typos or incorrect information listed. Also, some finance offers may affect the price, such 'either/or' ie zero percent finance OR a rebate. Promotional finance may increase price shown. Promotional pricing based on availability of advertised unit. Please contact Dealer for details. We will price match or beat any price in the nation. Bay Harbor Motors reserves the right to purchase any deal brought in from a dealer or any other party. The 2019 RM-Z450 remains the champion’s choice, as its sleek, race-ready appearance, strong engine, and nimble chassis continue the Suzuki tradition of extraordinarily precise handling.The RM-Z450 epitomizes Suzuki’s Winning Balance philosophy with strong brakes for controlled stopping power, a wide spread of engine muscle with high peak power, and a strong, light, and more nimble chassis that remains the class standard for cornering performance. 2019 Suzuki GSX-R600, Includes Customer Cash. 2019 Suzuki GSX-R600 Suzuki GSX-R600 is a class-leading sportbike worthy of its race-winning GSX-R heritage. Whether you’re carving through your favorite canyon or dominating the racetrack, it offers unparalleled performance. A compact, powerful four-cylinder engine demonstrates the advanced race-proven technology of the GSX-R line when you hit the throttle and push it to redline, while supremely refined suspension systems front and rear help provide precise, responsive handling. Wrapped in aerodynamic and lightweight bodywork that’s lifted from the racetrack, the GSX-R600 can not only win races, it can win envy. Features may include: Built to own the racetrack and let loose on the streets. Since 1985, the GSX-R has been continuously refined to deliver new levels of performance and agility. This legacy of innovation continues with over 1 million legends made. ENGINE Compact 599cc, four-cylinder engine with a race-proven over-square bore/stroke ratio that produces remarkably strong high rpm power delivery. The energy efficient engine employs forged pistons, shot-peened connecting rods, chrome-nitride-coated upper compression and oil control rings, and pentagonal ventilation holes to reduce frictional and mechanical losses. Camshafts with aggressive valve-lift profiles were developed using proven MotoGP racing engine technology the first time this method has been applied to a production Suzuki. CHASSIS Lightweight and compact twin-spar aluminum alloy frame is constructed of five cast sections to produce a balance of light weight and strength. The frame is mated with a cast aluminum swingarm and multi-piece rear sub-frame that’s ready for racetrack use. Race-developed, lightweight Showa BPF deliver superb feedback and consistent performance. ADDITIONAL Stylized Suzuki “S” 3-D emblems on the fuel tank and the fork upper bracket denotes the quality, sophistication, and performance legacy of the brand. Optional single seat cowl can replace the passenger seat for an even more aggressive look or for use on solo rides or track days. Suzuki's SuperMoto DR-Z400SM is based on the proven DR-Z400S. So it combines Supermotard style and features in a narrow, lightweight, street-legal package. This bike brings off-road soul and fun to paved roads. It’s not uncommon to take the SuperMoto down a twisty forest road, around tight canyon corners, or through commuter traffic.Its 398 cc, liquid-cooled, four-stroke engine provides strong low-rpm torque and crisp throttle response for any of these occasions. Key differences between the DR-Z400SM and the DR-Z400S are the inverted front fork, wide, spoke-style wheels, and 300 mm diameter floating front brake rotor. The inverted fork contributes to less unsprung weight and improved overall handling, while the large brake and wider rims with high-grip tires offer an exhilarating sportbike experience.